The Urbano Kabah Park is a beautiful triangular park blessed with abundant native wildlife and vegetation that helps the animals to thrive. Far from the bustles of the city, this verdant oasis features loop trail, kids’ playground, museum, zoo, duck pond and picnic area. The pond is teeming with lots of birds like heron, duck and goose which flock especially in winter. You can also spot turtles, spider monkey, deer, peccary, iguana and coati around the Urbano Kabah Park. 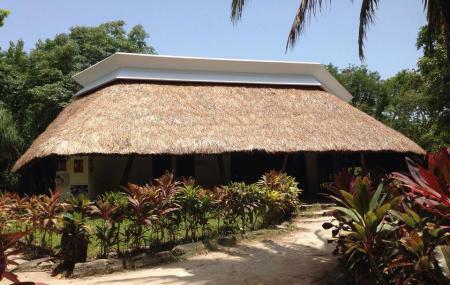 The museum in Casa Maya will show you the aerial photographs of Cancun showing the evolution and development of the region. The 1.8-kilometre loop trail is also perfect for hiking, jogging, walking and exercising. How popular is Urbano Kabah Park? People normally club together Parroquia De Cristo Resucitado and Avenida Kukulkan while planning their visit to Urbano Kabah Park. It's a park and a gym for the locals but for us that are not use to it tge humidity was unbearable and unbreathable. The park was full of jungle life. Beautiful park with nice walk in shade to hide while sun is strong. Calisthenics park inside with bathrooms. Breeze and sound of branches of the 🌲 s.
Very nice place, fresh and relaxing to forget about all the stress of the city.